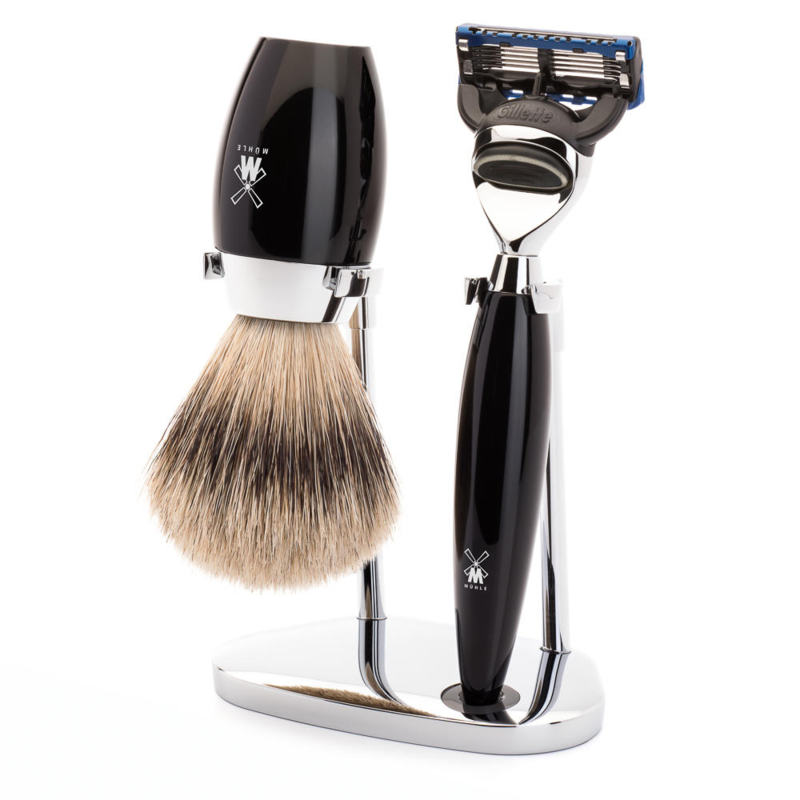 The Muhle Black traditional Shaving Set 3 piece, Is an exceptional set. 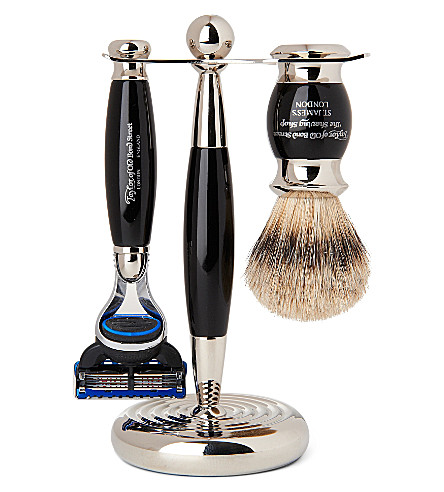 The Jet black acrylic barrels of both razor and shaving brush, really bring out the Chrome. The set contains a safety razor and a shaving brush, which are both lined with brass for weight. 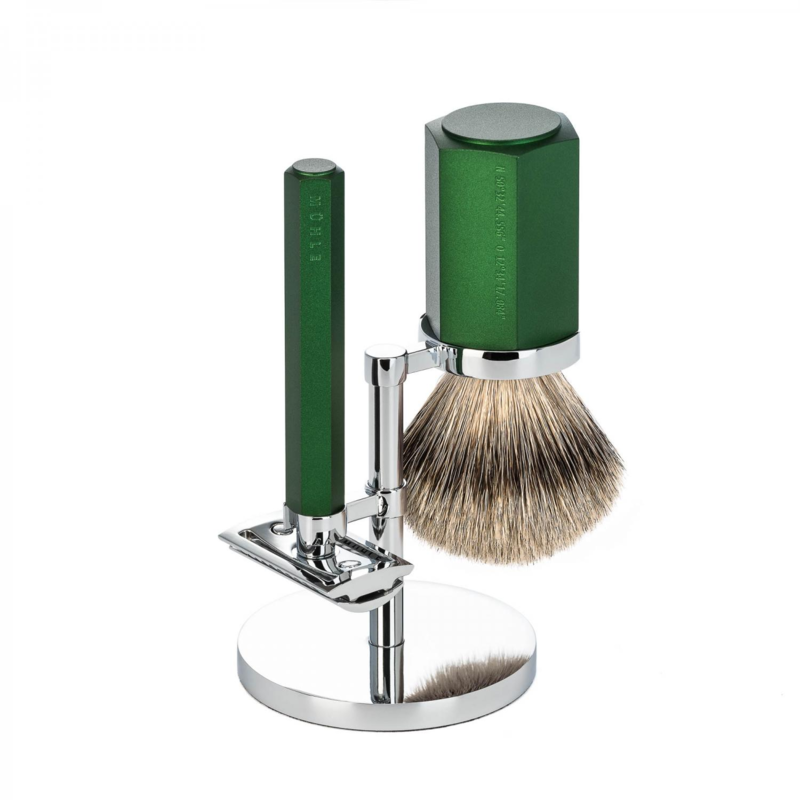 The safety razor has a closed head providing the shaver with a close but safe shave. This style is considered an excellent common ground In traditional shaving, and as a safety razor It works very well. The razor Is based on the legendary R89, which Is one of the best selling safety razors. 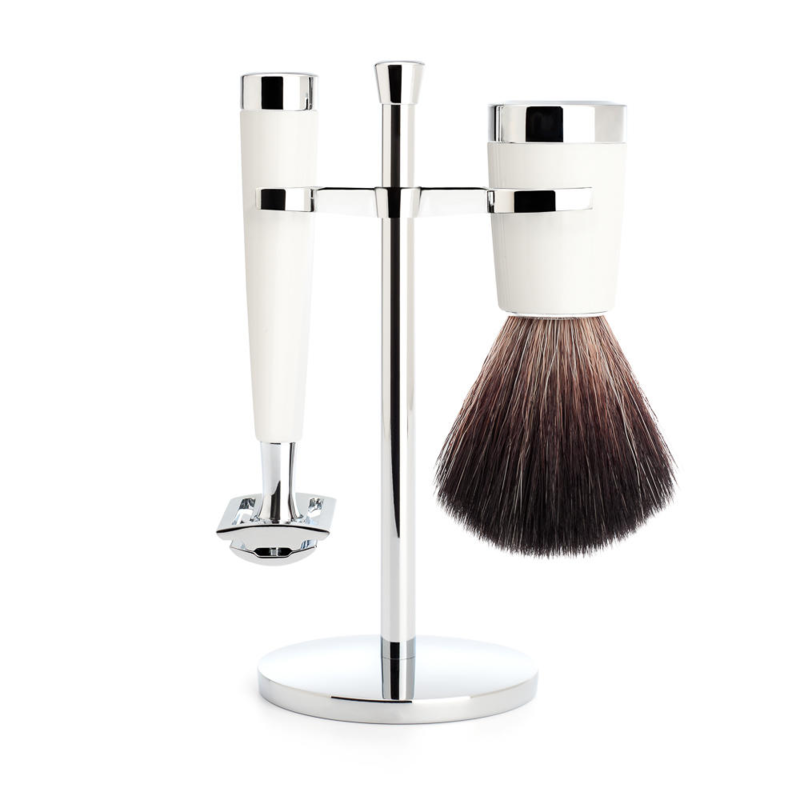 The shaving brush has a silver tip knot, which Is the highest grade of badger hair. It stands at a tall 105 mm and weighs a big 127 g. It Is a wonderful piece to handle. The set Is completed by this exceptionally designed stand handmade at the Muhle factory. Edwards traditional shaving emporium, are an official retailer of Muhle. Who are a 70 year old traditional shaving company from Germany. Why not check out the rest of the range on the site. 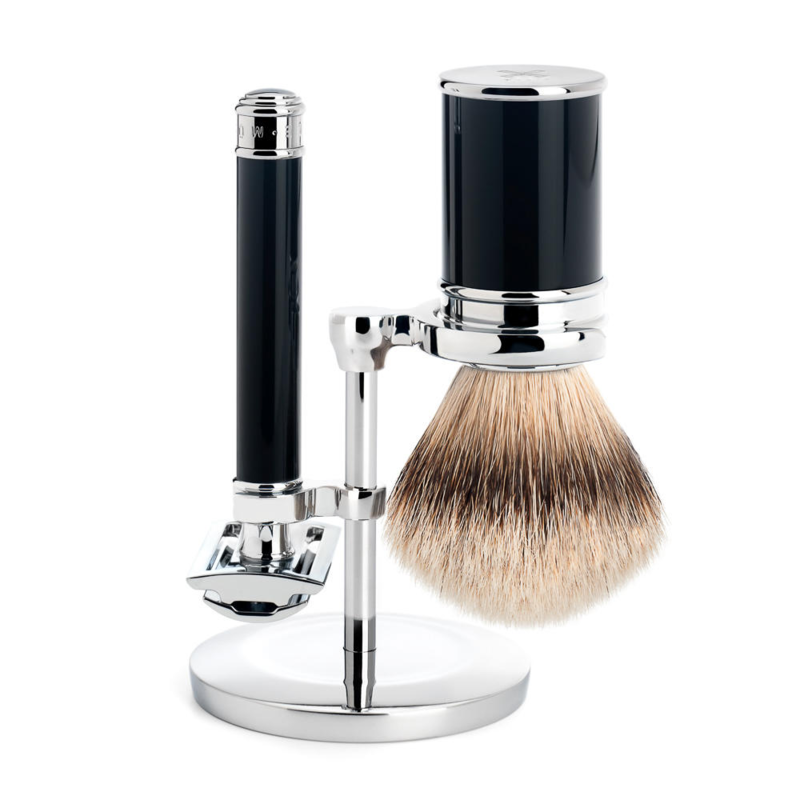 The Muhle traditional Shaving Set 3 piece black Is Just one of many. We also have a blog which has a great deal of excellent Information on about shaving.